Canning, as it turns out, is not that hard. Time-consuming yes, but hard no. So if we have enough time, there will definitely be more jam in our future. 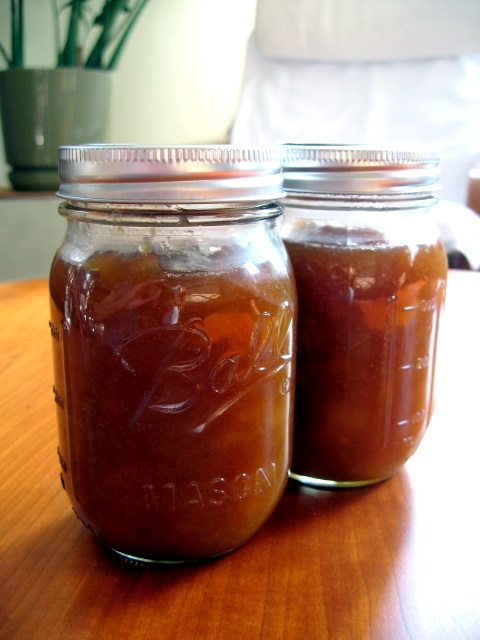 The one we made — a peach-plum-ginger affair from Food in Jars — was delicious, and I get the feeling that it is just the tip of the iceberg in terms of jam and canning possibilities. So why did I put aside my fears of botulism and finally try to make and can my own jam? To start with, it’s a very bottom-up thing to do. But I have an ulterior motive. There is a jar of jam in my fridge that I am trying hard to displace: a 42-ounces vat of Kirkland-brand strawberry jam from Costco. When Alex brought it home, I cried “factory food.” But my complaints fell on deaf ears. I’m hoping that appealing to taste buds will work better. 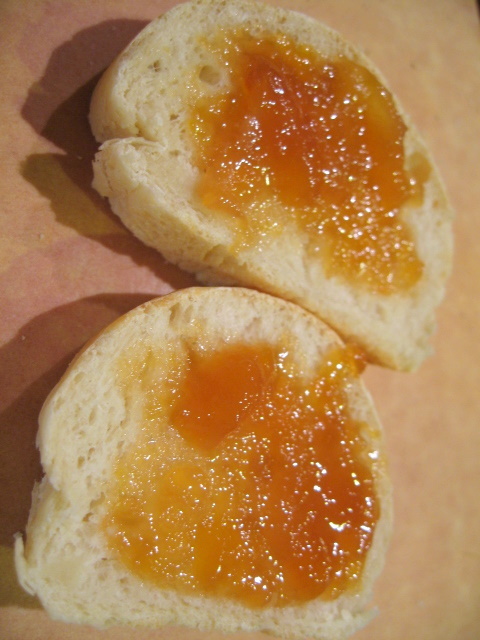 The peach-plum-ginger jam is delicious. It tastes like cooked peaches, for sure, a bit like a peach tart. But the plums give it depth, and the ginger gives it a tiny bit of lift. A very nice flavor. 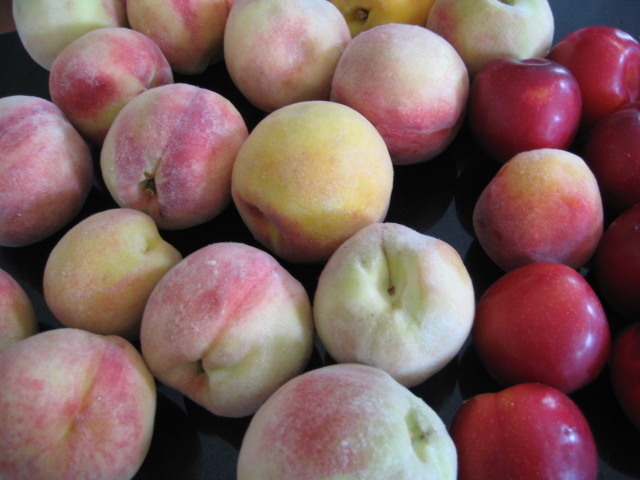 And great peaches, just $2.50/pound from Kimball Farms at the Cambridgeport Farmers Market. Wash your jars, lids, and rings with soap and water and set aside on a clean towel. If you are paranoid like me, you can also sterilize the jars, rings, and lids by placing them in boiling water. Combine all of the ingredients EXCEPT the ginger in a large stockpot. 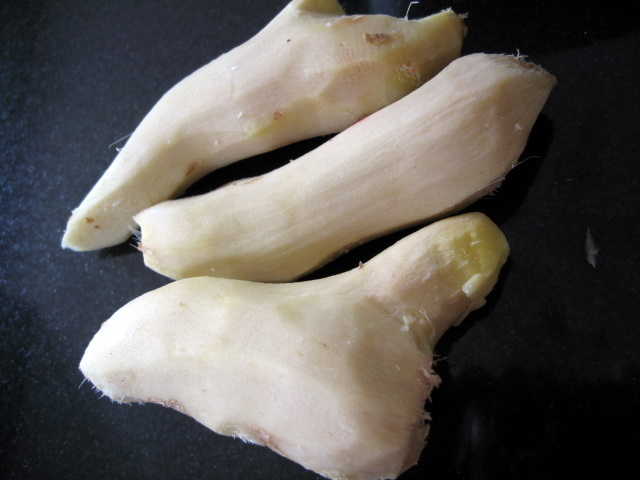 Combine the ginger with 1/4 cup water in a food processor, stopping to wipe down several times. 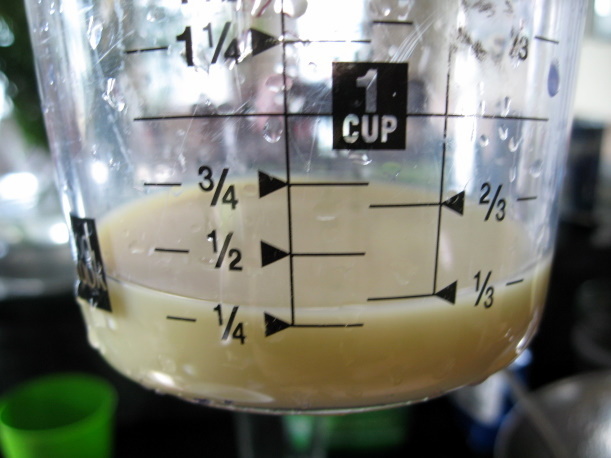 Put the resulting ginger-water paste in cheesecloth and squeeze all of the liquid out into the stockpot. Discard the ginger pulp. 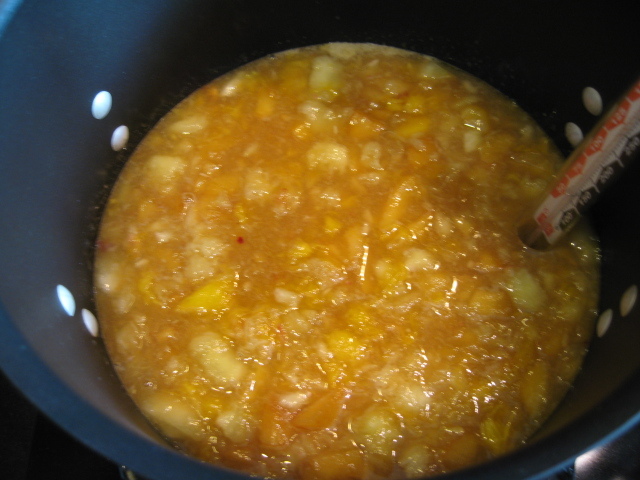 Cook the mixture over medium heat, stirring frequently, until it reaches at least 210 degrees and as high as 220. The mixture should be thicker than when you started, more like jam. If not, refer to troubleshooting tips. While the jam is cooking, put the jars in boiling water. Remove them just before you are ready to fill them with jam. Fill the jars with jam, wipe the rims, cover with lids, and screw rings on. Place the filled jars in boiling water for 10 minutes. CAREFULLY remove the jars of jam from boiling water bath (a jar lifter comes in handy here) and let stand to cool. You will ultimately hear the lids pop as the contents of the jars cool and a vacuum is created. Store in a cool dark place for up to one year. I’m really happy that you like this recipe! I did notice that you omitted the water bath process step. If you don’t do the final processing step and choose to open kettle can it (though it’s not a step recommended by the USDA, it’s been done for years), you really need to start with sterilized jars. Or keep the jam in the refrigerator for its lifespan. Hi Marisa, thanks for looking at this! I actually used sterilized jars AND did a final processing step. I see that I forgot to list the final processing step here – a big omission. Will add it right now.